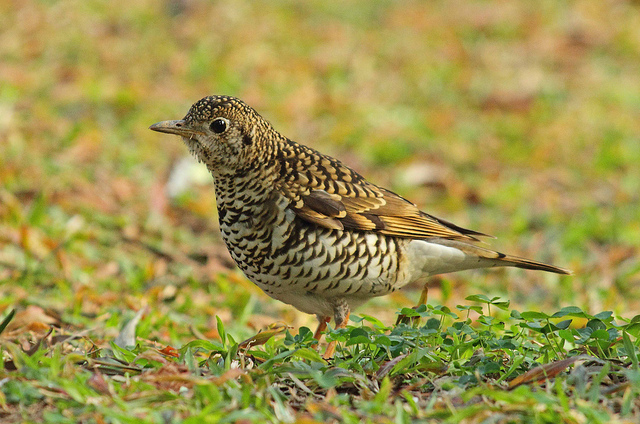 The Scaly Thrush is a very rare vagrant in Western Europe. 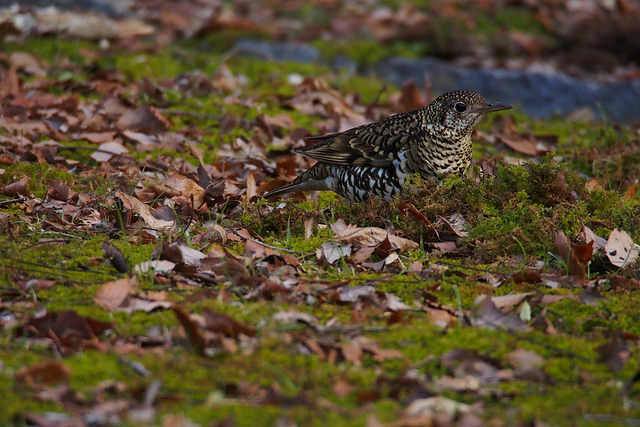 It is a large thrush, brown with black dots all over its body. It breeds in a wide area from Central Asia to Australia.